After thousands of years away from her home planet of Olympus, Artemis of the Hunt has finally returned to the Citadel. 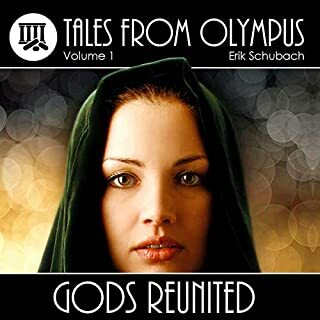 She brings with her hundreds of Olympian men rescued from the clutches of the Titans by the legendary Valkyrie, Kara the Wild One, along with a peace envoy of Asgard intent on coming to a peace accord and mutual defense pact with Olympus. Olympus comes under attack, and Artemis and the Asgard must stand against the oncoming enemy. Great spin-off series of The Valkyrie Chronicles! In this short story, Vicky is introduced to Oxford and quickly shuffled off campus as not to embarrass the Dean. 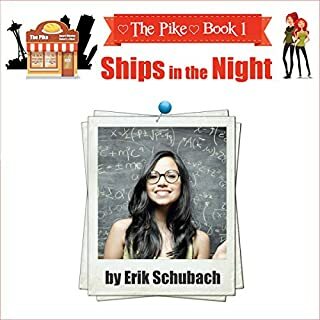 She finds a new roommate, Candice, and decides it is her duty to find her a boyfriend. Because "I'd so make an awesome matchmaker!" She inadvertently succeeds in her own hyper-loveable fashion. We also learn some of the reasons behind her dichotomy of genius and scatterbrained personality, and the reason she left her friends and family to attend Oxford. Almost 3,000 years after an extinction-level event on Earth, mankind seeks to regain its former glory, in a new world where magic and technology collide. Laney Herder, a commoner in the realm of Wexbury, finds herself thrust into the world of nobles and knights. At the side of her Lady Celeste, Knight of the Realm, she goes on an epic journey from being a simple chicken farmer to one of the greatest heroes of the realm, while helping the Lands of Sparo avoid a second Great Mage War. 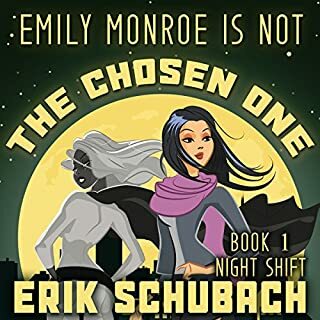 While out celebrating her 21st birthday, Angelina Drake finds herself immersed in a curse that goes back generations, to the time when the first Djinn terrorized the world. She has to fight for her life and her friends when an old evil comes knocking. The wishes of the people around her just complicate the situation as she can hear them all, spoken or not. When she finds herself with wings as a result of an errant wish, she must enlist the help of some new friends to try to end the curse that plagues her line. Finnegan May has always had a carefree life in New York. Her love of animals landed her in a unique job as the premiere dog walker to the rich and famous in the city that never sleeps. She winds up in the middle of a murder investigation when one of her clients winds up dead, and the police are looking at her as the prime suspect. Fin must deal with being investigated while keeping her appointments with all of her waggy-tailed clients. Crystal is straight. She went to an exclusive lesbian bar, the Ballyhoo Club, to cheer up her gay best friend after bad breakup. There Crystal meets Riley, a spunky and charismatic girl who mocks her about straight girl dating skills. The two bet each other that they could take the other on a better date, the loser has to humiliate themselves at Ballyhoo. In a battle of escalating seduction the girls take each other on a series of dates where the lines between the game and the heart are blurred. This short novella follows Fixit, a worker on the surface of Tau Ceti Prime. She is an ace mechanic who keeps the automated harvesting machines in good running order. She has never missed a quota in her efforts help to feed all the people "topside" in the giant floating cities in the sky. She has to make her first trip to the technologically advanced cities for the first time in her life to make an emergency shipment to New Terra City because Betweeners had hijacked the prior shipment. 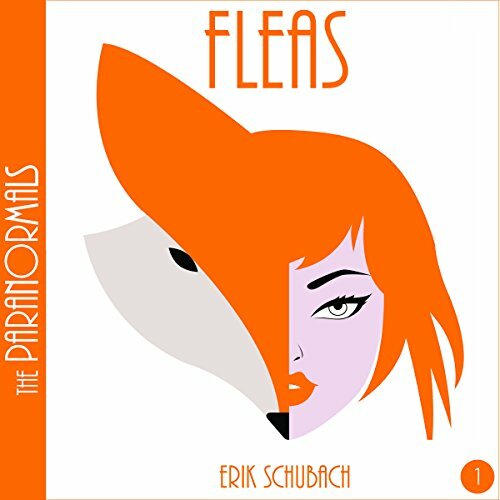 Fleas is the first in a series of young adult novellas that follow three friends with paranormal powers as they graduate from school and start an odd-jobs business together. Steph Ryder is a lycan shifter, but she is underpowered - what is known as a stringer. She can't shift into her full werewolf form, but she can manage to take the form of a fox. Steph must find out who framed her best friend, Penny, for a theft at the high school that got her expelled just days before graduation. Can a clumsy, shy fox shifter overcome her own fears and insecurities and save the day? Where does Fleas rank among all the audiobooks you’ve listened to so far? What was one of the most memorable moments of Fleas? What about Sterling Mulbry’s performance did you like? the author gave me a copy for an honest review. so here goes. this world really drew you in, the characters were well written and flowed to pull you into the story. the narrator had the flow and cadence that fit the story. this was a really great young adult story. can't wait for more in the series!!! I enjoyed the opportunity to listen to Fleas, a book I've already read and loved. I enjoyed the fun adventures and getting to know characters I hope to read or listen about more. Erik always does so great with his books and shoutout to Sterling for a great performance. Fleas is the story of a small group of high school outsiders, only these outsiders live in world were the paranormal is just normal. The main focus of the is told through Staf's told POV. Stef or Fleas is a shapecharger or werewolf if like, only she is one the with a problem she turns into a Fox not a wolf. This was a very fun story and the characters were perfect. Sterling Mulbry did a fantastic job of narration and the voices were each distinct and full of emotion. 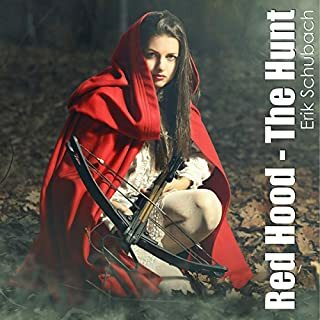 This is going to be another hit for Erik Schubach and I'm looking forward to adding more of this series to my audible library! A very fun, well paced story.